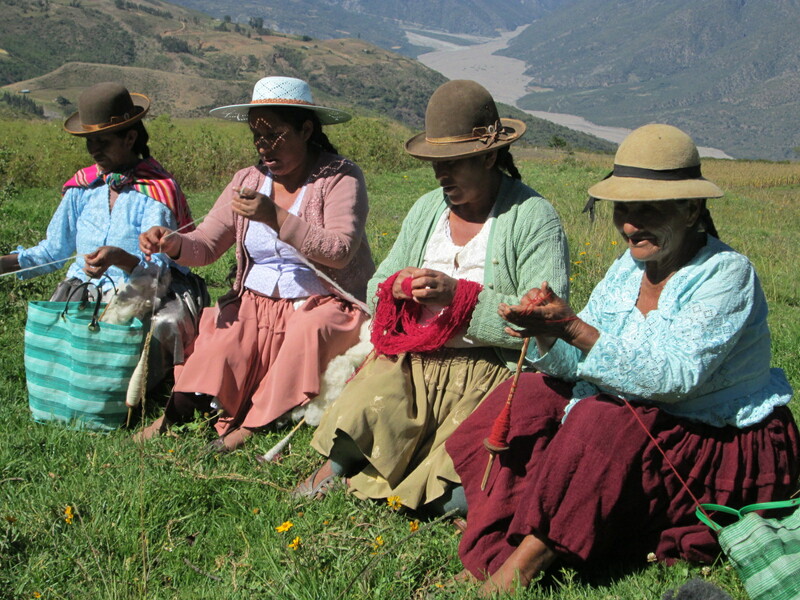 Development of income generating activities was an objective in forming the Club de Chicas (now Artesanas, CdA) in 2010. Volunteers have taught a variety of skills through the years that could have led to income generation, but the fuse of entrepreneurial spirit refused to light. 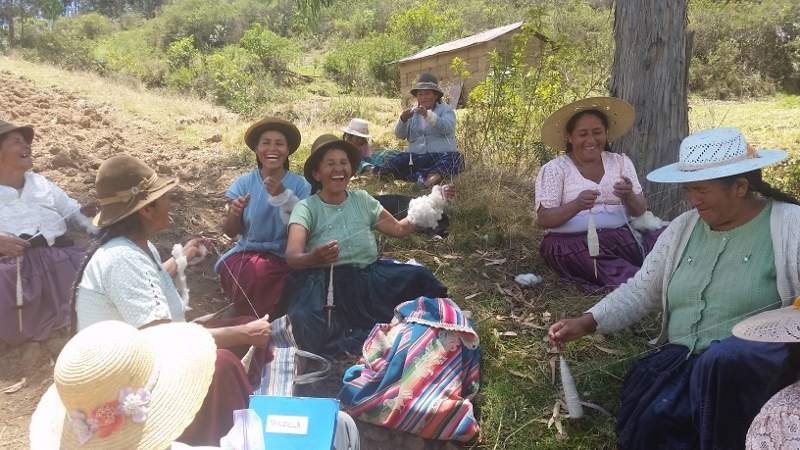 Finally in February the women in the Club de Artesanas spent time producing products to sell instead of just working on skill building projects, which are usually knitted, sewn, or crocheted clothing for their families. Amanda Smiles, founder of Ruraq Maki, has spent 2 weeks a year for the past 3 years teaching jewelry making workshops to the members of the Club de Artesanas. Each year she leaves Doña Máxima, the CdA trainer, with “homework”. After a jewelry pricing workshop she tasked Doña Máxima with teaching the wire techniques to new CdA members and creating a display to debut the jewelry at a PAZA sales booth at May´s Feria de la Chirimoya (harvest fair). 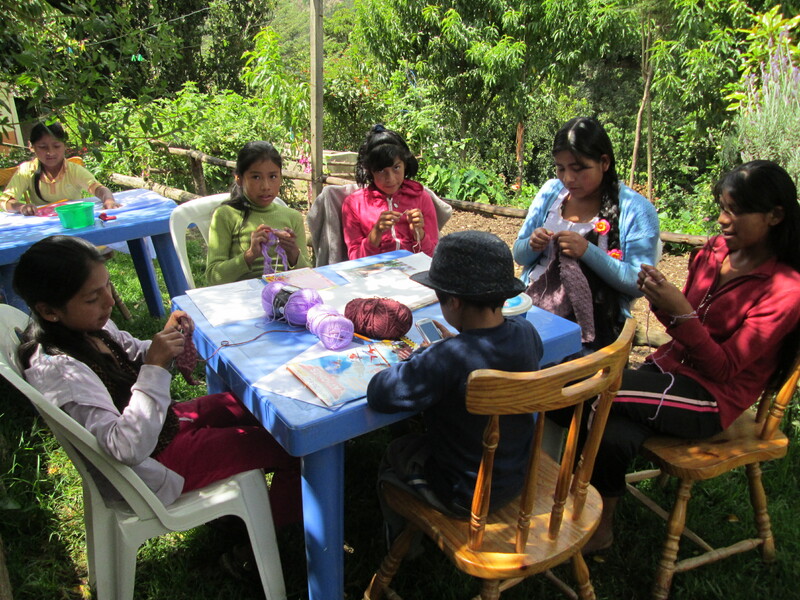 During February, Doña Máxima spent half a day teaching and working with the women and young teen members to produce earrings. CdA’s soap making efforts are progressing. 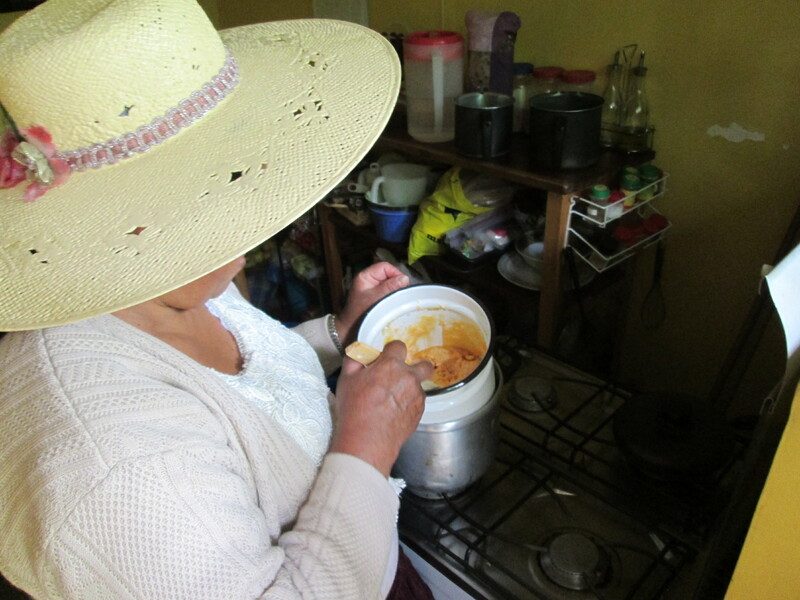 The women tossed out the leftover foul smelling rendered tallow from the first batch of basic soap and started anew. 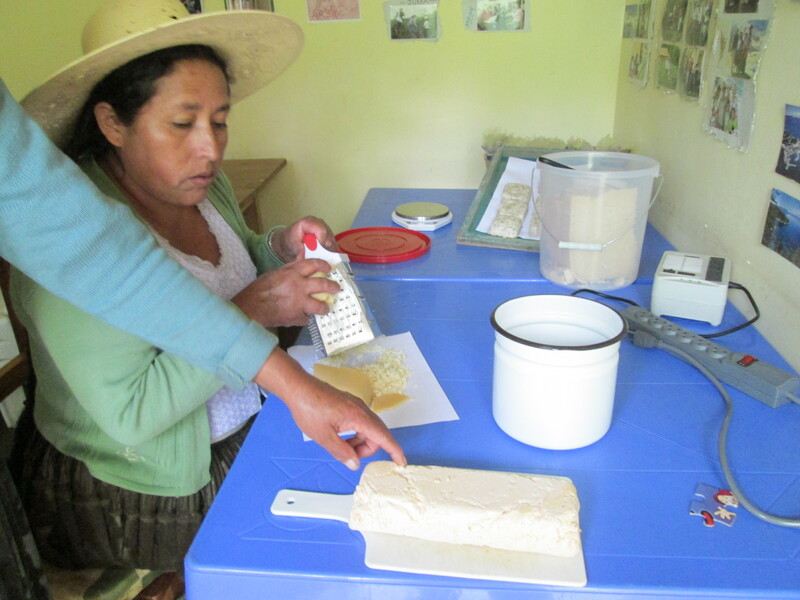 They divided the remaining basic soap from the first batch to take home to use as laundry soap and were pleased with the results. Washing laundry is a hands on time consuming rub a dub dub chore done in cold water at an outdoor cement sink or in a plastic wash tub. mixing in additives. So far they´ve made carrot, avocado, rosemary, cucumber peppermint, and lavender soaps. They were disappointed in the lack of fragrance in the unscented vegetable soaps. Scent seems to be how they differentiate a body soap from a laundry soap bar. They’ll continue to sample and improve the soaps, as well as come up with a name and a manner to package the bars to sell them alongside the jewelry at the Fair in May. 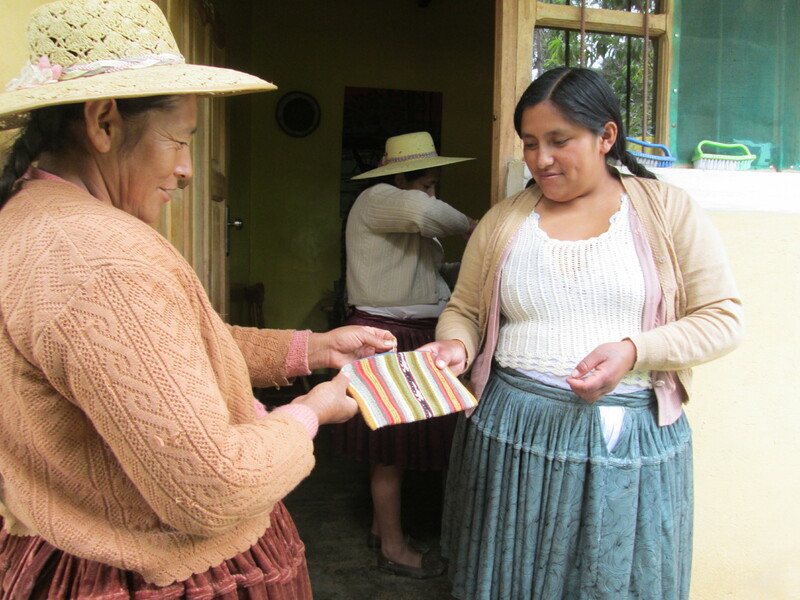 CdA member, Vilma is making a small weekly income by assembling the woven yoga mat straps and zippered pouches on the Juki industrial sewing machine recently purchased, thanks to Ruraq Maki. 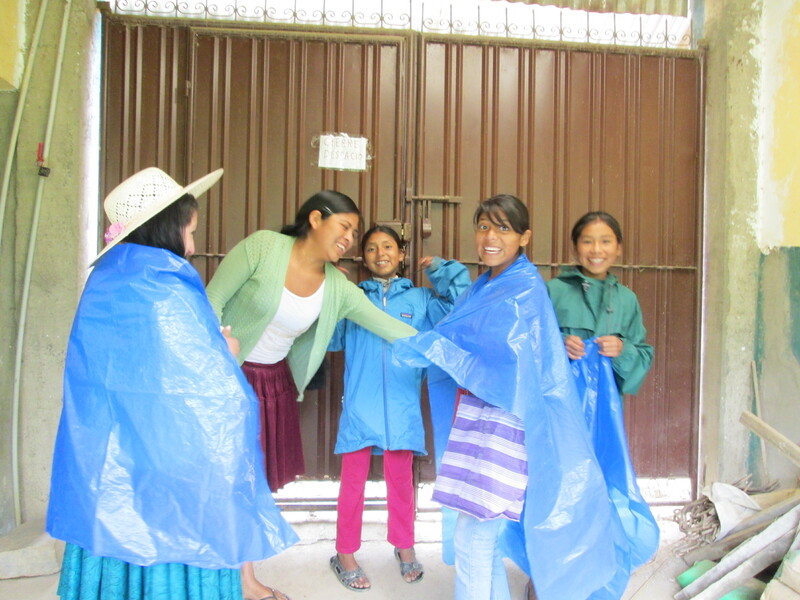 Saturday mornings have been open workshop and PAZA library hours for the CdA chicas since 2010. Last year they rarely took advantage of the opportunity, so 5 younger teens have been recruited to the Club. On February 28th, a new CdA program was offered to the teenagers aged 10 to 14. Reyna Chavez (Noemi´s sister), a CdA member since 2011 and a graduating senior was hired to teach a clothing crochet class. Her students include Joel´s 2 sisters who attended CdA´s school vacation session, a daughter of a new CdA adult member, a neighbor, and Mary who has attended Amanda´s jewelry classes and been baking birthday cakes with Dorinda for years. Meeting Mary was a memorable event that took place 6 years ago. She and her elder sister Ana were miles above town standing by the side of the road with a young ram and a pile of firewood. They flagged down the truck PAZA had contracted for a rural natural dye workshop. The girls and their burdens were loaded into the back of the pickup. During the unloading in town the ram made a bid for freedom leading the girls on a merry chase. 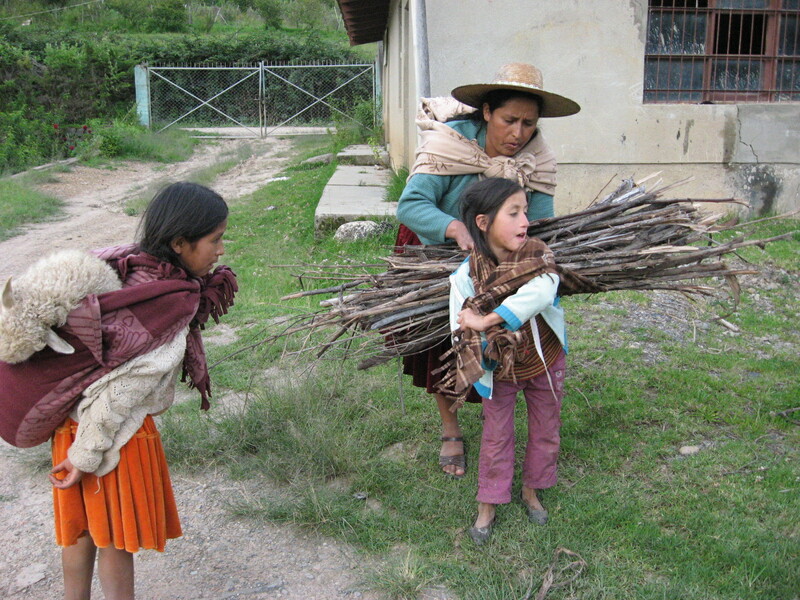 Once captured, Doña Máxima helped Ana secure the ram in her aguayo to pack on her back and loaded up a shawl with the firewood for 9 year old Mary to lug home.